When I envision the future in the Age of Aquarius, it lacks sound. Panther-like EVs, powered by Zen-monastery-quiet solar PV, are zipping down highways made from recycled tires. The thunderous sound of the combustion engine will only exist in the memory of petrol-heads like myself. But in order to get there, people must want to and be able to buy these cool cars. When I teach my Evening/Weekend MBAs (shoutout to the Axe and Oski cohorts! ), we discuss the demand for new and socially desirable technologies and how one “pushes” new gadgets into the markets. The answer to this, in many cases, is you subsidize new technologies. A subsidy (duh) makes the good cheaper to the consumer and (s)he is more likely to buy the EV. In California, we’re super ambitious. We all eat kale. We also want to see 1.5 million Zero Emission Vehicles on California’s streets by 2025. And 5 million by 2030. That’s 6 and 11 years out, respectively. So we’re going to throw some money at the problem. Our schools and roads are falling apart, so the question we should be asking is, how much is it going to take to get these cars on the road and is it the best use of public funds? There are some older reports out there that use the early EV subsidies to estimate consumers’ response to these programs, but to put it bluntly, these subsidies largely went to rich people buying Teslas. Until now, we knew relatively little about the response of people buying non ridiculously expensive cars. Due to a jealousy-inducing dataset– the universe of electric vehicle sales in California, which accounts for 40 percent of EV purchases in the United States and 10 percent of purchases worldwide– they are able to estimate two policy-relevant parameters: the rate of subsidy pass-through and the elasticity of demand for EVs among low- to middle-income buyers. The first thing tells us something about how much of the subsidy is captured by consumers (versus manufacturers). They show this to be at 80 to 100 percent, which is good. Their estimated demand elasticity – the second thing – is -3.9, implying that a subsidy that decreases the purchase price of an EV by 1 percent will increase demand for that EV by 3.9 percent! This seems like a big number – and it is. The same number for electricity is about -0.3 – an order of magnitude smaller. So, where’s the Debbie Downer paragraph you ask? Let me oblige. Frankly, the number of EVs sold even in California is relatively small. One prior “study” puts the cost of subsidies out to 2025 at between $2.2-2.9 billion. Muehlegger and Rapson’s estimates suggest that getting 1.5 million EVs on California roads would require subsidies of $9-14 billion! The authors carefully describe the limitations and assumptions of their study, but reading the paper carefully shows that the subsidy number may actually be much bigger than they state. The smarter idea is a feebate. The idea is simple. If you buy some ridiculous SUV that is big enough to take your entire house in the glove compartment, and which gets terrible gas mileage, you pay a tax. A gas guzzler tax. And that tax should be significant. If you buy the Toyota Kumbaya (the obvious name for the successor to the Prius), you get a hefty subsidy, which is financed out of the revenue from the gas guzzlers. 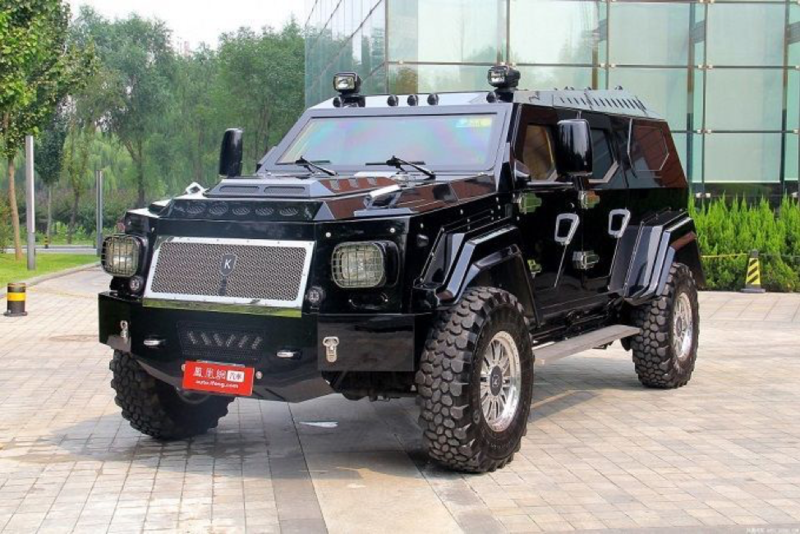 If you want a gas guzzler badly enough, you can have it. But you pay the full damage it does. It’s fair, efficient and economists don’t hate it. Which is probably why it’s not policy. Why do we not love it? It still misses the usage margin, which a carbon tax does not. So yes, I am going to conclude another blog post with the call for a national carbon tax. Maybe we should call that the Kumbaya Tax. Next Next post: Only Who Should Prevent Forest Fires? Infant industry subsidies have been a part of our nation’s economic history, and EVs are no exception. Land grants to railroads opened the West for development. Air mail subsidies launched commercial air travel. Semiconductors received space and military subsidies, and today nearly every one of us has a phone with more processing power than NASA used to help Neil Armstrong first step onto the moon. California electricity consumers also engage in dozens of other subsidy programs, each of which has a purpose, a constituency, and a rich political history. The CARE and FERA programs provide up to 35% bill discounts for qualifying low-income customers. Those benefits substantially go to the poor, not the rich. Many other states do not have such programs. California applies the same retail electric and gas rates to single-family residential customers as to apartment residents, even though the cost of providing electric distribution service is much lower to apartments, since the utility runs a single line to a building, and serves up to 200 customers with that single connection. These benefits go substantially to above-average income residents of single-family dwellings. Nevada, on the other hand, charges multi-family customers about 8% lower rates than single-family customers. California apportions free carbon allowance to some (but not all) industrial customers. These benefits go to the eligible industries. Yes, launching the EV industry involves incentives to early adopters. That approach has worked extremely well in developing markets for energy-efficient appliances, new building code standards, and other innovations. Each of these EV purchasers is laying out tens of thousands of their own dollars, and receiving an incentive that is a small fraction of the total cost. If this enables a jumpstart to an industry that can reduce air quality problems, balance of payment problems, international security problems, and ultimately safety, mobility, and quality of life improvements, it may be at least as good an investment as existing incentives for fossil fuel development. Why the concern about subsidies, since they’ll be gone in a few years as electric cars become cost-competitive and then cheaper than ICE? And don’t forget this is due to subsidies and the vision and capabilities of many EV pioneers, especially Elon Musk. Subsidies will be nill, then privately owned cars will go away with transportation as a service. I’ve owned a Model S for 6 years and agree that the car taxes should be based on environmental impact costs, including pollution, weight and miles driven. The subsides accomplished nothing regarding EV adoption, except putting bucks in the pockets of the uber-wealthy. Or do you think someone willing to drop $80,000 for a sports car is motivated by saving $7,500? If I used subsidies to drop the price of a Wagyu steak from $128 to $118, you think I’m actually going to sell a whole lot more steaks? And if I did, who would benefit? Studies show discounts motivate bargain hunters, and high end sports car owners are by definition not bargain hunters, otherwise they wouldn’t be in the market for a sports car. What is driving demand is lowering prices, taking things that were considered luxury items and pricing them for the masses. And, naturally, once the masses start buying something in bulk, we need to immediately cut the subsidies, because we can’t afford to subsidize more than a small fraction of total sales. Aluminum was once so rare and valuable, we capped the Washington Monument with it. Today we make soda cans from it. No subsidy made that happen. technology did. Not true. In fact the highly subsidized Columbia River Project with its many federal government dams run by the BPA made aluminum smelters economic. And government subsidized the schools that made the engineers that designed the dam. But the parents subsidized the birth of the engineers. But they were convinced to make love by romantic Hollywood movies. So really, the growth of the aluminum industry was directly subsidized by Gone with the Wind. Bottom line – we CANNOT afford to subsidize enough money to enough people, to put enough EVs on the road to make the slightest difference. We would be vastly better served taking the $10 billion or so and devoting it to inventing better and cheaper batteries than can be used by manufacturers to make better and cheaper cars without any subsides at all. or taxing people less, so they have more money to afford electric cars. Question. Assuming you have a good policy reason to want a market to move from product X to product Y (and quickly), are the optimal incentives you would use to entice people to choose Y over X the same under the assumption that the relative prices of X and Y will remain the same over many periods as they would be if you assume that that increased volume in Y will drive down the price of Y relative to X? And if so, how do you calculate the correct incentive? It must depend on how fast you want this substitution to happen and the steepness of that experience curve, right? A feebate could have very high welfare costs. Once you have Acemoglu’s carbon tax and R&D subsidy, the welfare foundations of an EV subsidy are not well established. And the carbon fee would have to be much higher than socially optimal, especially in light of the Gayer-Viscusi case for a low domestic (California) tax (and the weakness of Kochen’s counter-argument based on the Folk Theorem). Then factor in the Goulder-Williams tax/subsidy exacerbation effects (possibly an order of magnitude larger than the Harberger triangles) and you’re looking at a lot of potential waste. Someone needs to explain why Californians buy 40% of EVs. Sounds a lot like a rat race to be greener than thou. If that’s the case, an EV tax may be indicated. And what is wrong with “a rat race to be greener than thou”? Almost all of the new consumer technologies that we have enjoyed over the last century and a half began as luxury goods for which the wealthy paid a premium to start. And as Jim Lazar points out, many of these had subsidies of some form to kick them off. The math of economics can look nice, but the underlying assumptions often undermine the real answers. The Energy Innovation and Carbon Dividend Act of 2019, just introduced in the House of Representative with bi-partisan sponsorship, would offset some or all of the regressiveness of EV subsidies by recycling carbon tax revenues through equal dividends to all adults (and half dividends to every child). A 2017 Treasury Department study estimated that the first six to seven income deciles would benefit or at least not lose money under such a revenue recycling scheme. The bill’s rising fee on fossil fuels would also supercharge the incentive effect of EV subsidies, accelerating mass adoption of cleaner vehicles and allowing a faster phase-out of subsidies. Last but not least, the prospect of such a fast-growing market for EVs should also accelerate innovation in technology and production efficiencies in this sector. Kumbaya! One more caveat to the Auffhammer blog on EVs… Yes, feebates are a good alternative to taxpayer subsidies, but another is an actual policy likely to be adopted this year in California: diversion of LCFS (Low Carbon Fuel Standard) “credits” to EV purchases. In essence (some of) the credits accrued by electric utilties for selling electricity to EVs would be aggregated statewide and packaged into point-of-sale rebates to new EV purchases. 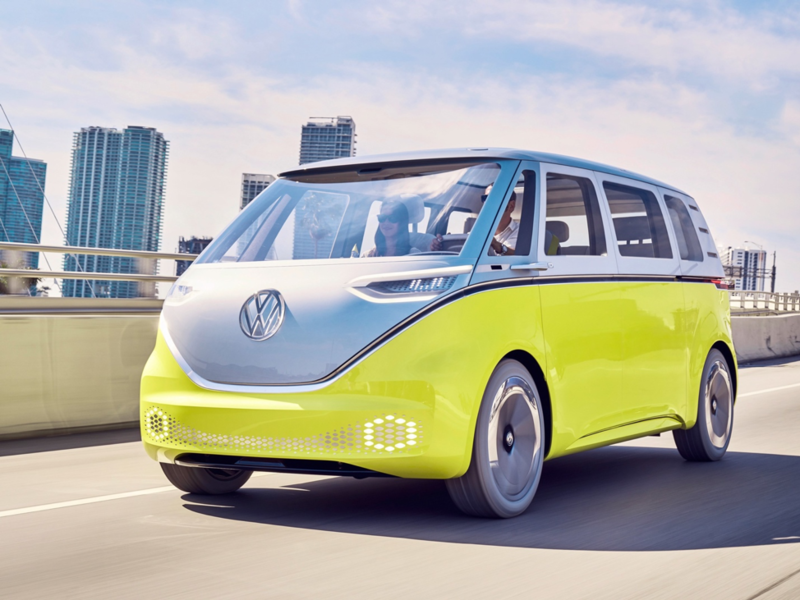 We estimate that it will amount to $2000 per EV purchase–covering just about all the “required” subsidy estimated by my colleagues Dave Rapson and Erich Muehlegger. Giving subsidies for EVs is welfare for the rich. To get a rebate you MUST take an IC vehicle off the road. I am not talking those ‘shells’ sitting in some yard with weeds in it, but a registered and operational one. New-car tax could be based on the as-sold/ equipped weight. Road tax [the annual reg fee etc] should be based on miles driven – can be captured in a quick smog-test-like visit. Subsidies and rebates [just like bonuses] can be quite easily manipulated. How do you “value” the “incentive” for EVs that comes in the form of being allowed, as a single-occupancy vehicle, into the carpool lanes on the freeway? Isn’t that a form of “subsidy” as well? I’ve heard that some people are buying PHEVs, like the Kia Niro or Prius Prime, for the sole purpose of access. They don’t expect or intend to plug them in at all. As a Kia Niro PHEV owner, this seems silly to me — why waste a great feature. But the federal tax credit on the PHEV Niro brings the acquisition cost down to equal that of the hybrid Niro, so I guess if you don’t have a place to plug in at work or home, it’s still a zero-incremental-cost option to get into the carpool lanes.